QSI Business Solutions is a "PEO Broker" that has contracted to work closely with AAHOA Members to ensure they are getting the best rates, products, and services in regards to Payroll, Workers Comp, Employee Benefits, and HR Support based on their company needs and interests. QSI will obtain quotes, execute contracts, initiate introduction to PEO, ASO or HRO "team", and assist in servicing members as needed. The exceptional services that will be provided to Members stem from almost a century of combined experience in the PEO industry, superior financial strength, and over 100,000 employees worldwide. A PEO (Professional Employer Organization) provides Human Resource Support, Payroll Administration and Tax Filing, Workers Compensation Coverage, Administration and Risk Management, and Employee Benefit Administration Services on an Outsourcing or Co-Employment basis. Co-Employment relationships are also referred to as "Employee Leasing." Employee Leasing can also reduce Employer liability as Employees are reported under the PEO Tax Id numbers. The PEO's that QSI will be representing for AAHOA members are ESAC certified or equivalent. This Financial Assurance to clients, worksite employee, insurers, and regulatory authorities is provided through $1 million Individual Surety Bonds covering each accredited PEO plus a $10 million Excess Surety Bond. 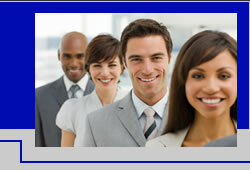 ASO (Administrative Services Outsourcing) Services will also be offered to members. This service model offers clients a full range of human resources consulting, insurance administration and payroll services, without requiring the establishment of a co-employment relationship. An ASO relationship is also more commonly known as Human Resources Outsourcing. Provide a standard package of employment forms designed to ensure compliance with applicable regulatory report regulations. Call Ashley today 706-280-4354 for a Free, No Obligation Quote!